Want to improve employee mood and productivity? Stock up on coffee and tea! 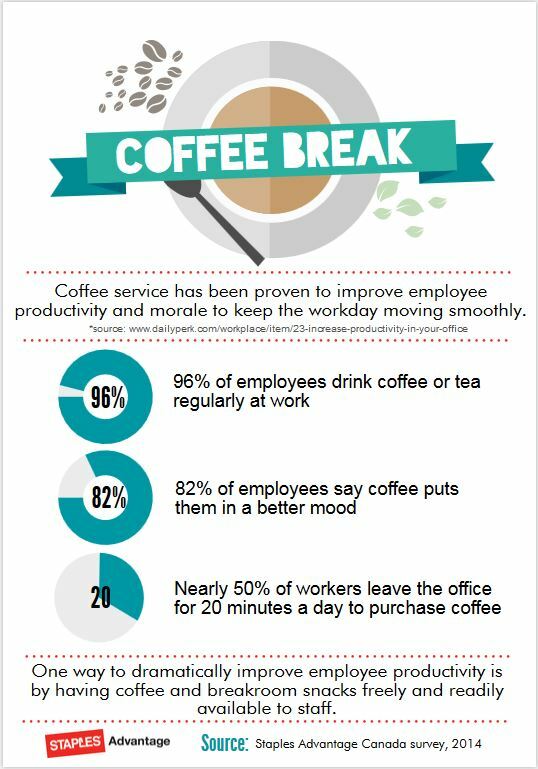 A Staples Advantage Canada survey revealed that most employees need their daily coffee fix while at work. Browse the full selection of breakroom products on eway.ca!